ISBN 178454177X. 9x12 inches. 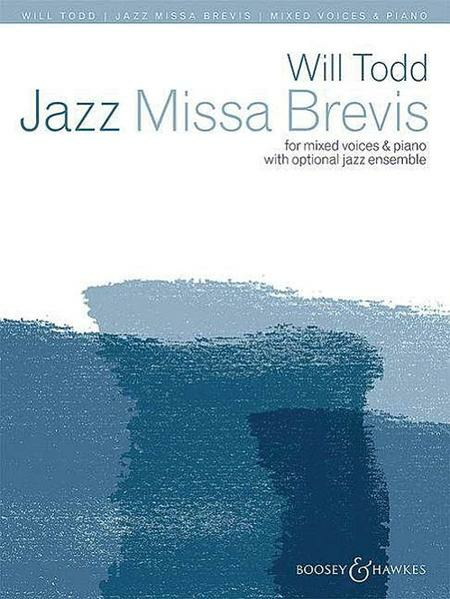 Will Todd's Jazz Missa Brevis gives new life to the sung Latin Mass texts in an accessible, short setting which embraces a variety of jazz styles, from the swinging jazz waltz Kyrie to the up-beat Latin-groove Gloria. The smooth jazz ballad Sanctus, 7/8 Benedictus and soulful Agnus Dei complete this inspiring Mass setting. Underpinned by Todd's characteristic jazz harmonies and melodic craftsmanship, it is suitable for performance both liturgically and as part of a concert by mixed choirs of all abilities. The work can be accompanied by piano alone (as written or extemporised), jazz trio (piano, bass and drums) or jazz ensemble (alto saxophone, 2 trumpets and jazz trio - parts available separately).